Sometimes an interesting vase doesn't need a lot of flowers. 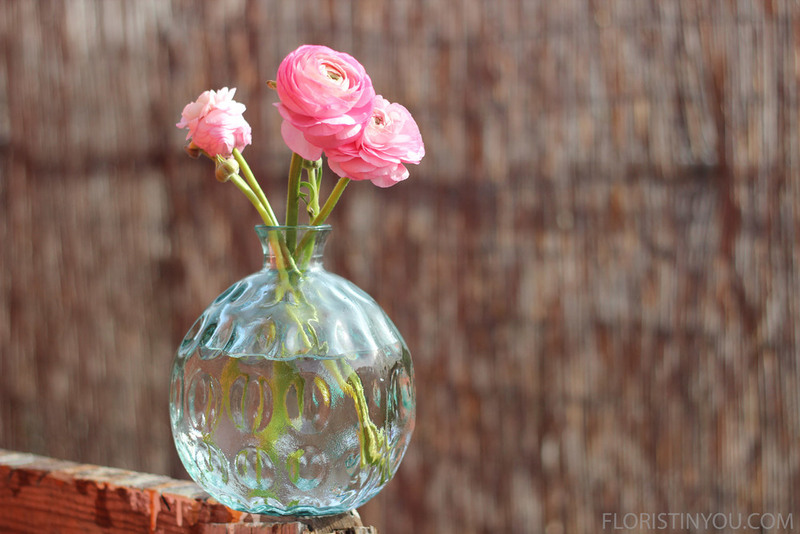 Here the round shape of the ranunculus go with the round shape of the vase. Once you find an interesting vase, think about the flowers that should go in it. You have to match the shape of the vase to the flowers. In design we say, "Sometimes less is more." Fill your vase with water. Use the vase as a reference for how short to cut the stems. My stems vary in length from 8 -12 inches. Place in the vase. Now it's complete; simple, yet elegant.